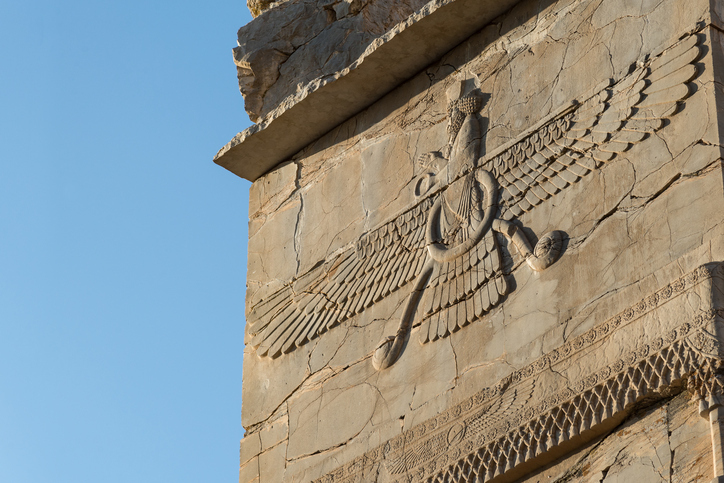 Fly Like A Lamassu - In this episode we learn about the first ancient highway, winged gate guardians, and the man who brought the vast Persian Empire to its knees. 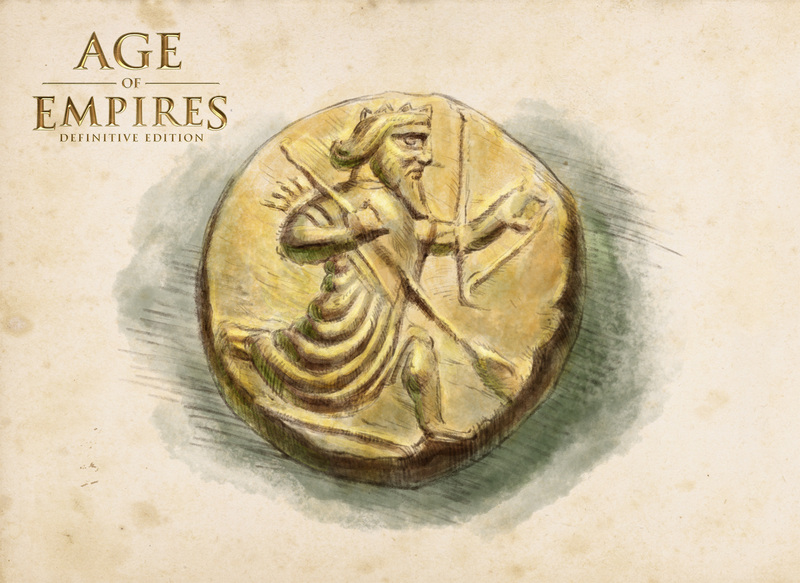 This illustration is of a gold coin called a daric minted during the 5th century BCE. It depicts the king wearing a crown in a kneeling-running position—a technique used by ancient artists to show movement. The monarch wears a quiver of arrows slung on his back, and he grasps a bow in his left hand while clutching a lance in the right. The daric might have been named after King Darius I who conquered the Lydians (western Anatolia in present-day Turkey) and adopted their unique form of currency: coinage. Some scholars, however, believe that the word daric came from the Old Persian word for “golden” (dari). The daric was made from nearly-pure gold and weighed about as much as two US nickels. The Persians were unlikely empire builders but in a relatively short span of years they conquered most of the Near East. They benefited from the leadership of a series of strong kings and from a lack of competent leaders among their neighbors. They expanded very quickly, stood on shaky ground for a few hundred years under internal and external pressures, and then collapsed suddenly and utterly. 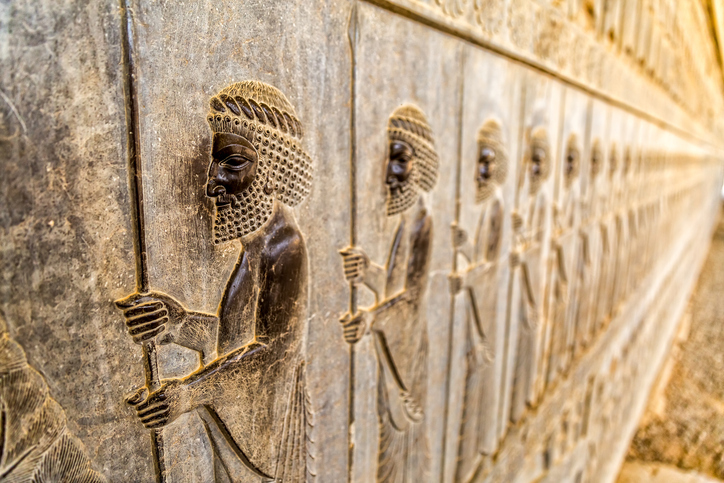 Despite their accomplishments and the breadth of their influence, our knowledge of the Persians is surprisingly limited. Very few Persian records have survived and many of these are written in Elamite, an extinct language with no known relationship to any other tongues (called a language isolate). There is nothing to compare with the surviving records of the Egyptians, Greeks, Hittites, and others. Historians rely heavily on what neighbors wrote about the Persians, such as the ancient Greek historian Herodotus; or the Greek mercenary/philosopher Xenophon who campaigned in Persia 70 years before it fell to the Macedonians (see Xenophon’s work the Anabasis). Archaeology has revealed that while it was certainly in decline prior to Alexander the Great’s conquest, the empire was once well-governed and efficient. The Persians were one of several Indo-Iranian cultures originating in the Eurasian Steppe. Referring to themselves as “Pārsa,” the Persian nomads migrated to the area of what is present-day Iran and settled (c. 7th century BCE) the southwest corner of the Iranian Plateau (the ancient region of Persis), on the north shore of the Persian Gulf, forcing the Elamites—an ancient pre-Iranian culture—to abandon their territories. Persians spoke a branch of the Indo-European language that evolved into what scholars classify as Old Persian. 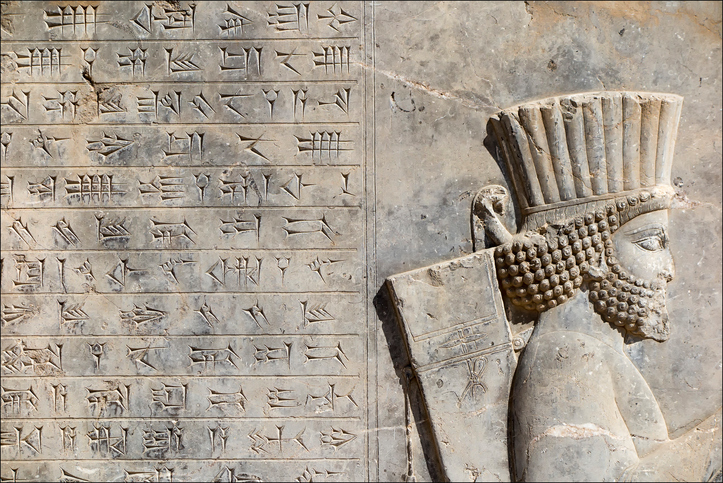 The Persians also utilized the Elamite and Akkadian (Babylonian) languages in their cuneiform inscriptions. At the beginning of the Achaemenid rule, the Persians were buffered from the great civilizations of Mesopotamia by the Zagros Mountains—a range corresponding approximately to present-day Iran’s western border. Eventually, the Persians conquered the territories west of this natural barrier. 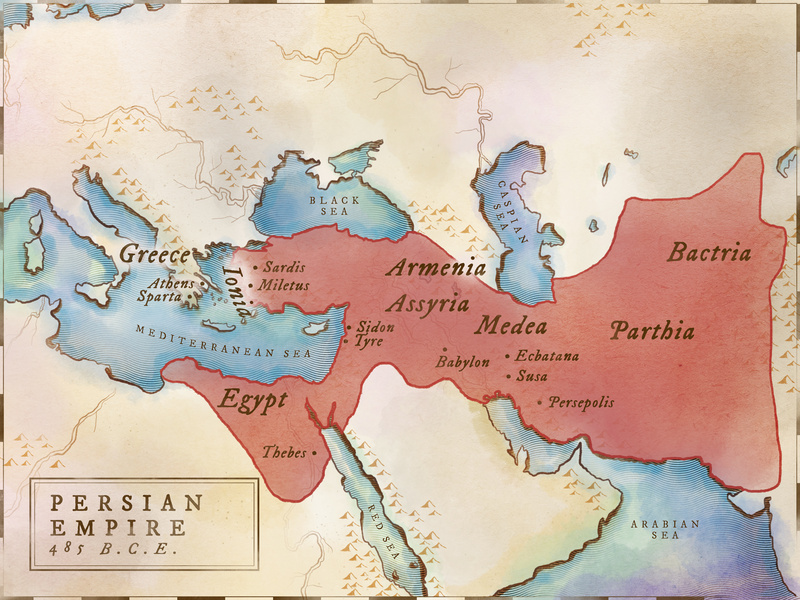 At its peak, the Persian Empire stretched from the Indus River across the Near East to the eastern Mediterranean coast, south into Egypt along the Nile to Sudan, across Anatolia, and into Thrace and Macedonia. 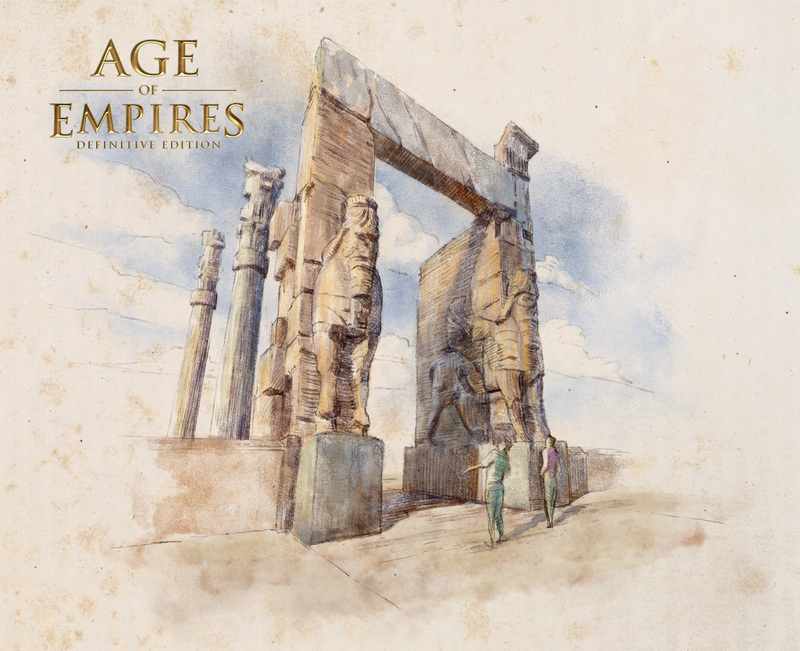 During the history of the Persian Empire, five cities served as the royal capital. 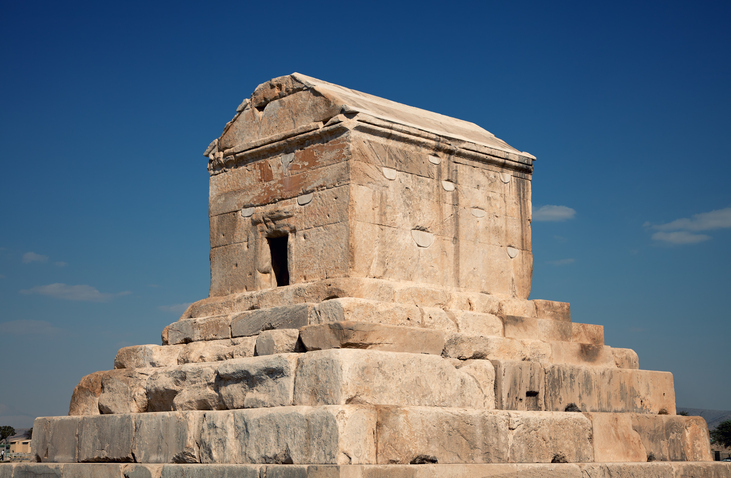 The first was Pasargadae, built by Cyrus to commemorate his victory over the Medes. It was remote and impractical as an administrative capital. 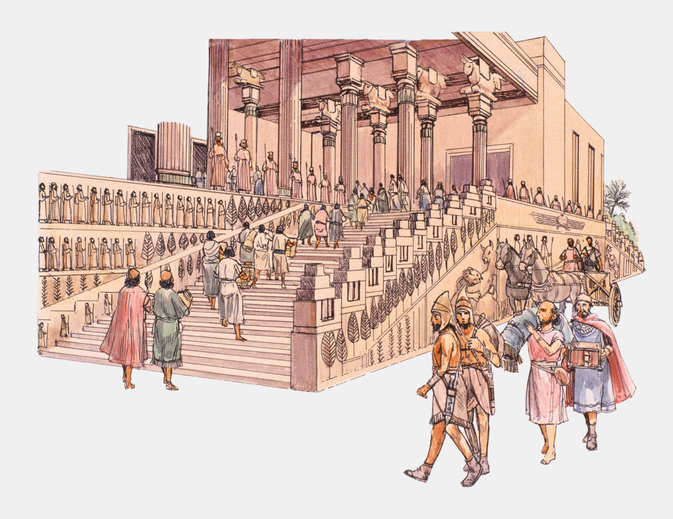 Cyrus rebuilt Babylon as a royal capital for his use when affairs brought him to Mesopotamia. Darius I moved the administration of the empire to Susa, the old Elamite capital, perhaps for efficiency. It was well located at the hub of a road and water transport network. 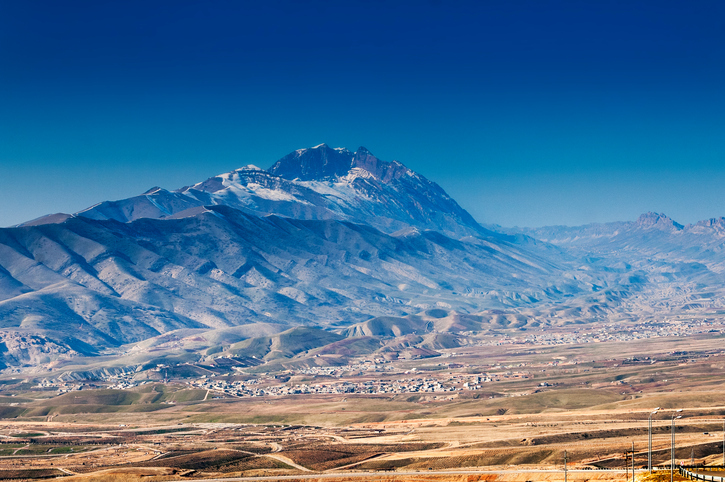 The extreme summer heat of Susa drove the Persian court first to the higher altitudes of Ecbatana, the old Median capital in the Zagros Mountains. 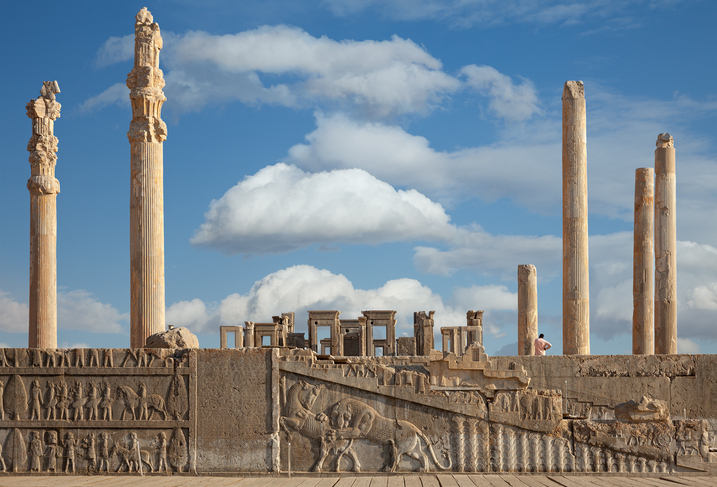 In c. 518 BCE, Darius began building the greatest of the Persian capitals at Persepolis (literally “City of the Persians”). 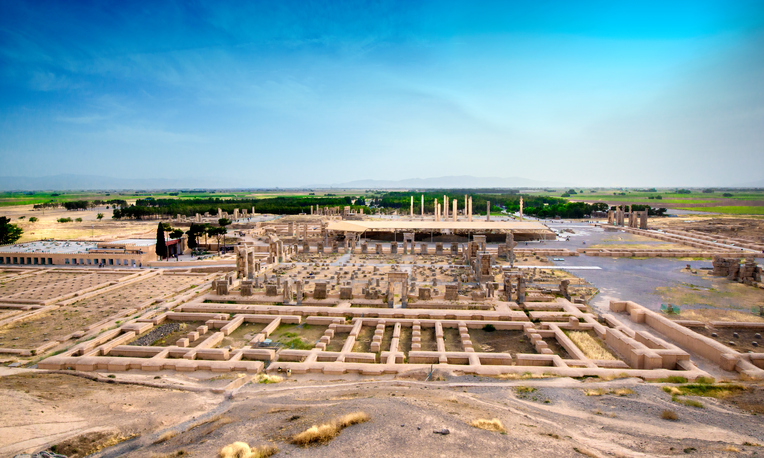 The construction of Persepolis (540 miles/870km south of the present-day Iranian capital of Tehran) was interrupted for long periods and was still not completed nearly 200 years later when the city was sacked and burned by Alexander the Great. The Persians settled on relatively poor and remote lands where they were seldom troubled by first the Elamites to their west; then the Assyrians (who destroyed the Elamites around 640 BCE); then the Medes (to their north); and finally the resurgent Babylonians who conquered Assyria in 609 BCE. Throughout this period, the various petty Persian kings were vassals of the richer and more advanced Medes—another ancient Iranian people. 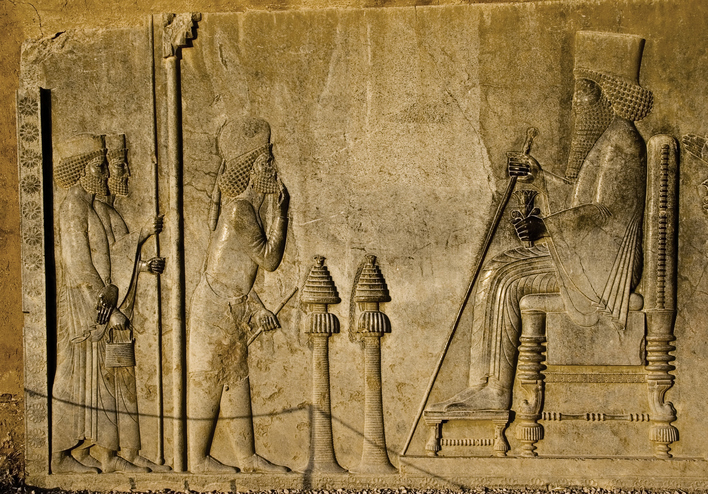 Cyrus II became king of the small Persian kingdom of Anshan in 559 BCE. Within ten years he had subjugated the eastern part of Persia and established a reputation among even his rivals as a natural leader to whom men gravitated. 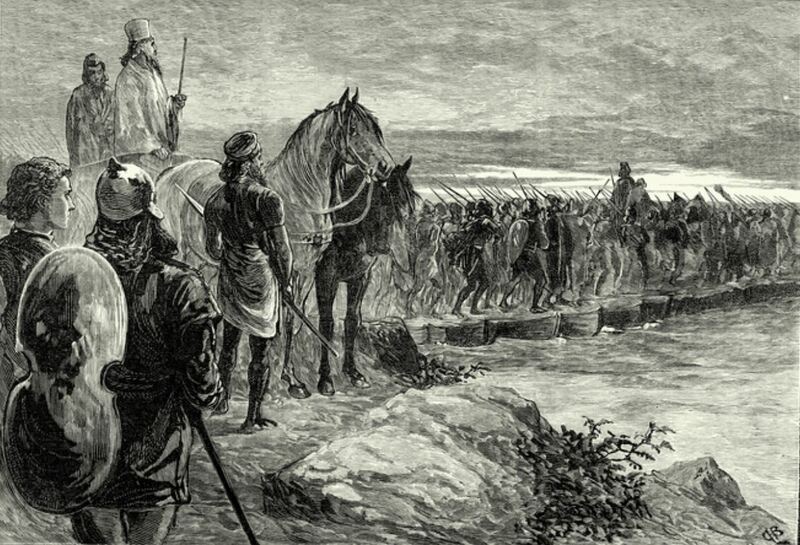 When the Median king attempted to reassert control over Persia around 550 BCE, the Median army revolted on the battlefield, handing over their king to Cyrus and surrendering their own capital at Ecbatana. The Median Empire, stretching across northern Mesopotamia into Anatolia, underwent a nearly bloodless change of management. Cyrus II was now Cyrus the Great, the first monarch of the Achaemenid Empire, named after Achaemenes (the legendary first ruler of what is referred to as the Achaemenid Kingdom dating back to circa 700 BCE). In quick succession, Cyrus then conquered the Lydians of Asia Minor (led by the King Croesus of legendary wealth who was said to have invented coins), Greek colonies on the Aegean coast, the Parthians, and the Hyrcanians to the north. In 541 BCE, he marched into the steppes of Central Asia, establishing a fortified border along the Jaxartes River. 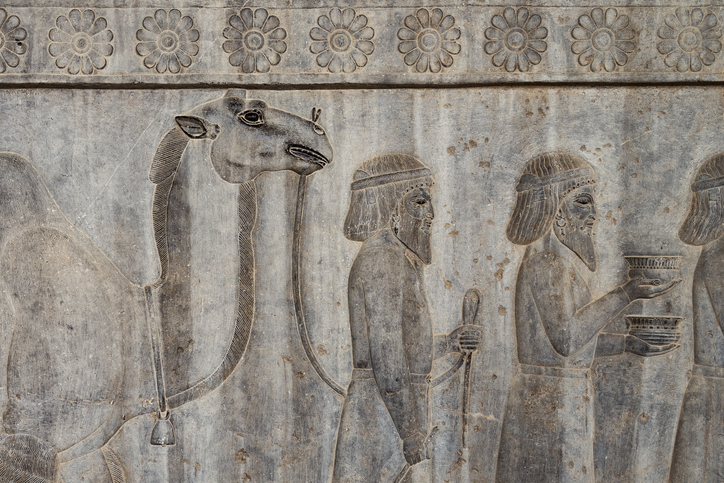 The early Persian economy was based on herding because the land was so poor for agriculture. The Persians attributed their toughness to the meager lifestyle to which they had been acclimated for generations. The sudden acquisition of the Median Empire, Lydia, Babylon, Egypt, and gold-rich areas in India made Persia an economic powerhouse. It controlled the rich agricultural areas of Mesopotamia, the grasslands of Anatolia, the trade routes in every direction, and rich deposits of metals and other resources. This illustration shows one of the entrances to the palace complex of Persepolis (Pārsa in Old Persian), the capital of ancient Persia (located in present-day Iran). The majestic statues standing guard on either side are called lamassu. These protective deities were portrayed as hybrid beasts—winged bulls (or lions) with the heads of bearded men. The Persians had adopted these mythological creatures from Babylonian and Assyrian mythology, but the beasts appear in literature as far back as the Sumerian Epic of Gilgamesh. Darius I built the citadel of Persepolis to serve as the seat of his Empire, and his son Xerxes I ordered the creation of the towering lamassus for what he called “The Gate of All Nations.” At the time of their creation these stone wardens would have been painted with bright colors, and massive wooden doors (perhaps covered with decorated metal) were hung on hinges between them. The magical protection of the lamassu-sentinels did not safeguard Xerxes’ descendants from the invader Alexander the Great. The Macedonian ruler and his army stormed the citadel in 330 BCE, slaying its inhabitants, looting the treasury of thousands of tons of gold and silver, and burning Persepolis to the ground. King Darius the Great instituted many economic innovations and reforms: systematized taxation; standardized weights, measures, and monetary units (the first successful widespread use of coins); improved transportation routes, including the 1600-mile-long Royal Road from Susa to Sardis; improvements to an early version of the Suez Canal; royal trading ships; promotion of agriculture; a banking system; and the promotion of international trade. The Persian kings and nobility were Zoroastrians, a religion named after its founder, Zarathustra (called Zoroaster in Greek). Zoroastrianism was monotheistic centering on Ahura Mazda—one supreme god who created everything material and spiritual. The powers of good and evil worked on humans, who had to choose constantly between the two. An eternal afterlife, either of pleasure or torment, was the possible result of Ahura Mazda’s judgment after death. These concepts of monotheism, good versus evil, free will, and posthumous reward or punishment were a departure from the polytheistic religions prominent in the area previously. The head of the Persian government was the king, whose word was law. His authority was extended by a bureaucracy led by Persian nobles, scribes who kept the records, a treasury that collected taxes and funded building projects and armies, and a system of roads, couriers, and signal stations that facilitated mail and trade. In the early years when the army was predominately Persian, it capably preserved the internal and external peace. Much of the empire was divided into provinces called satrapies, ruled by a governor called a satrap. All of Egypt was usually a single satrapy, for example. The satraps were normally Persians or Medes to help ensure their loyalty. They ruled and lived like minor kings in their own palaces. 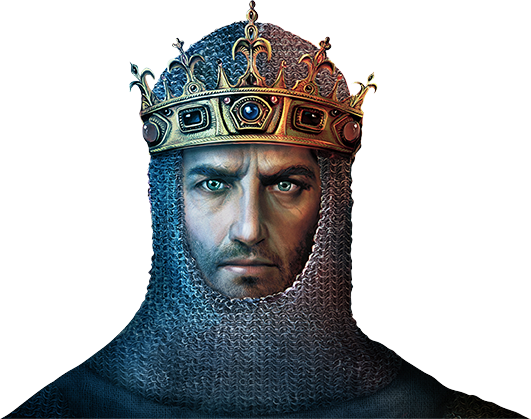 Some satraps became strong enough to threaten the king. Strong kings kept their satraps in check by holding close the reins of the armies and the treasury. The Persian kings were able to communicate very quickly across their empire using a highway called The Royal Road. Riders could make the entire journey—from one end of this 1,600-mile-long highway to the other—in a mere week. The spectacular ruins of the ancient citadel of Persepolis (a UNESCO World Heritage Site) contain some of the best examples of ancient Persian architecture. It is one of the most important archaeological sites in the world. Begun c. 518 BCE by King Darius the Great, the citadel was built upon a partially man-made plateau at the foot of the Kuh-e Rahmat mountain (“The Mountain of Mercy”). The vast complex covers an area the size of 13 hectares (about the size of an equal number of international rugby fields or nearly 16 baseball fields). 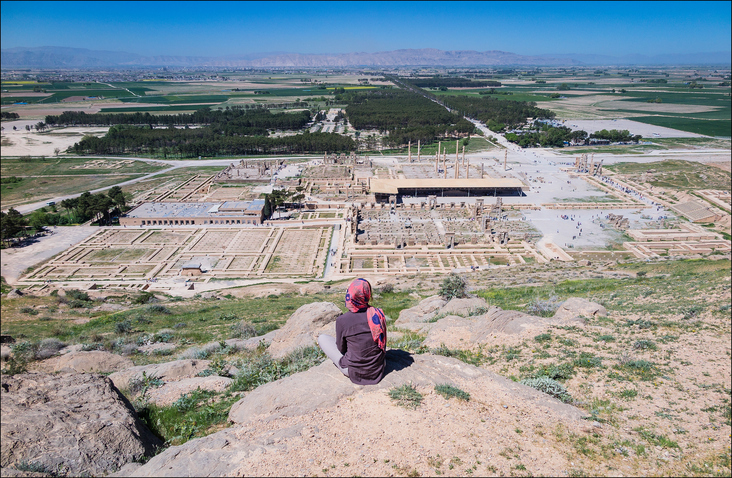 Persepolis contained several royal palaces, a colossal throne room (Apadana), a harem and a treasury. The city served as an administrative/ceremonial center for the Achaemenid Dynasty and was described by the ancient Greek historian Diodorus as the “metropolis” of the Persian Empire. Perhaps 10,000 people could stand inside the magnificent Apadana—a chamber decorated with bas-reliefs showing the king engaged in battles with monsters. 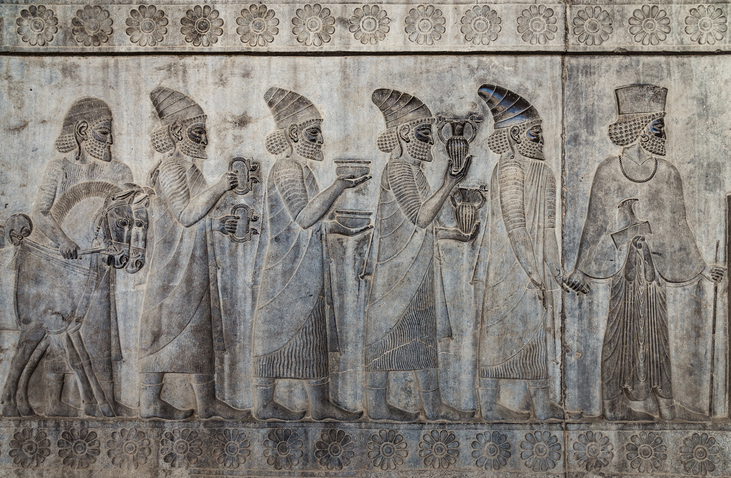 The exquisite bas-reliefs adorning the walls leading to the Apadana depict dignitaries from all twenty-three of the far-flung subject nations of the Empire bringing gifts to the king (a symbol of their loyalty). All of these bas-reliefs (as well as the columns and ceilings throughout the various buildings and porticos) would have been painted with brilliant colors. 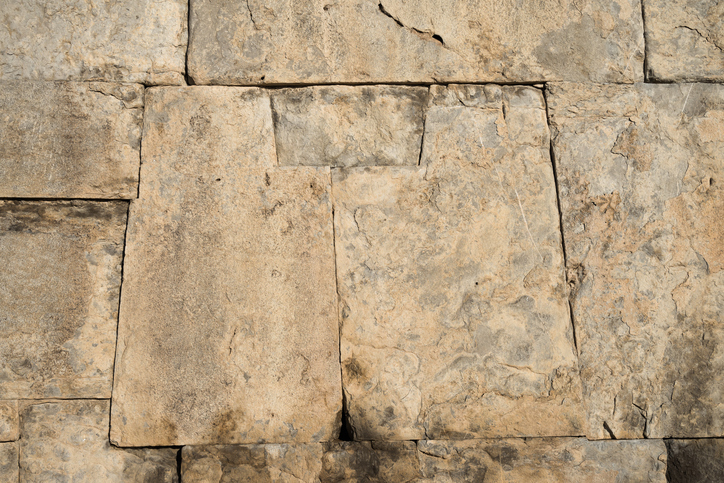 The façade of the raised terrace upon which the complex was built was made of monolithic, irregularly shaped limestone blocks perfectly fitted together without mortar. The elegant towering columns (called Persepolitan Columns by archaeologists), capped by massive double-animal capitals, once supported lofty roofs and porticos made of wooden beams. 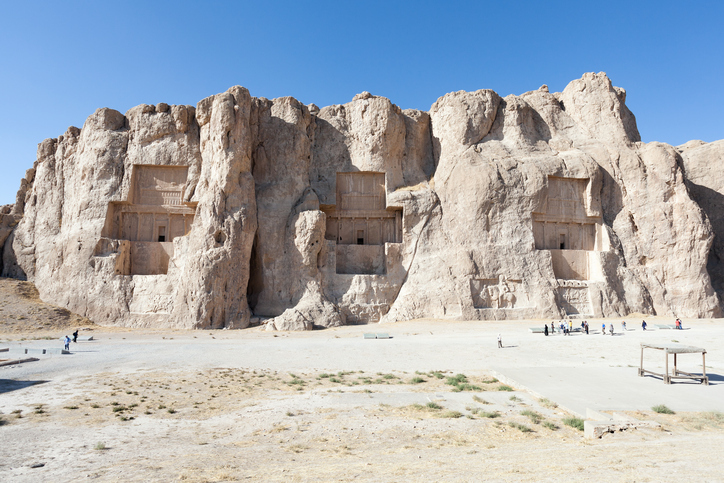 The entire citadel was a representation of the Persian king’s power and authority over his vast dominion. The Gate of All Nations (one of the ceremonial entrances to the palace complex) built by Xerxes I bears inscriptions in three languages: Elamite, Akkadian and Old Persian. 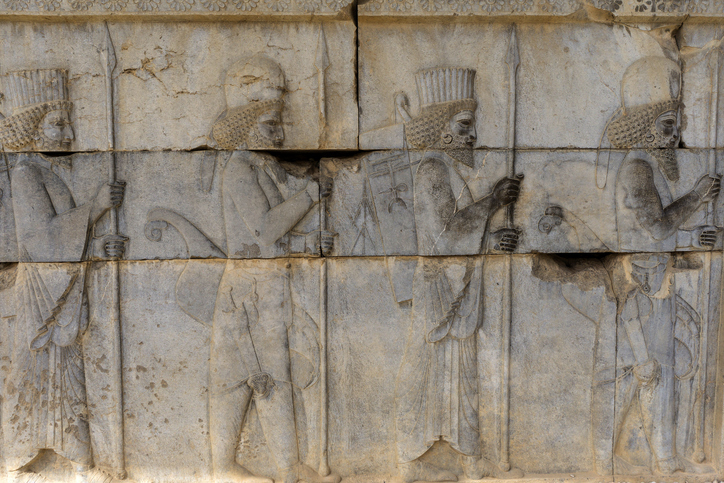 Tragically, Persepolis was wantonly destroyed by Alexander the Great in 330 BCE after being thoroughly looted by his soldiers. Discovered by Frenchman André Godard, the first scientific excavations of Persepolis were made by German-born Ernst Herzfeld from 1931-4 and sponsored by the University of Chicago’s Oriental Institute. According to the UNESCO World Heritage web page, no changes or reconstructions have been made at the site since its discovery, thus making this archaeological treasure completely authentic. All Persian men to the age of 50 years were obligated to serve in the armies of the Persian Empire. Ancient Greek accounts state that Persian boys were trained in riding, archery, hand-to-hand combat, and mounted combat. At the age of 20 they were eligible for military service. The army consisted mainly of four types of units: spearmen for infantry shock combat; foot archers to act as skirmishers; light cavalry armed mainly with bows; and heavy cavalry that wore some armor and carried spears. In the early years of the empire, the predominately Persian army was highly motivated and responsive on the battlefield, making it a dangerous foe. The elite of the Persian army was the Ten Thousand Immortals, so called because the unit was always kept at a full strength of 10,000 men. The loss of any man to death or incapacitation was immediately addressed by the promotion of a soldier from another unit. According to the ancient Greek historian Herodotus, the Immortals went to battle glittering with gold, and even took covered carriages filled with their women and servants on campaigns. One thousand of the Immortals were the personal bodyguards of the king. In its later years, the ratio of Persians to provincial levies declined. A mixture of constituent peoples, weapons, and methods replaced the standardized, hardened army of well-trained Persians. 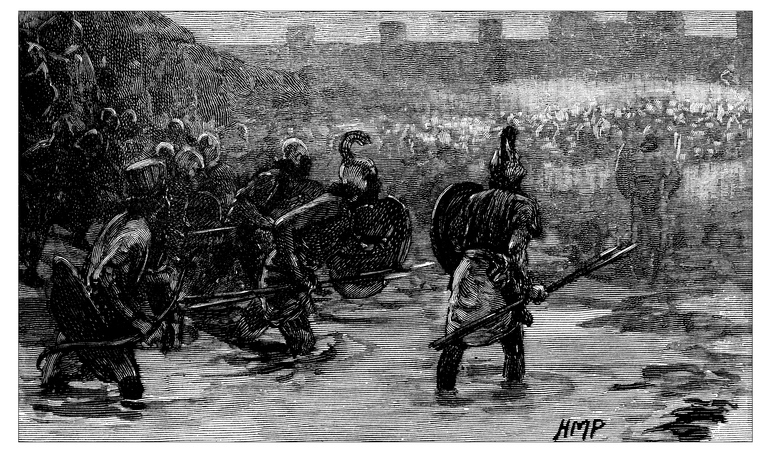 These troops lacked the discipline of the Persians and proved difficult to maneuver and employ on the battlefield. The Persian Empire peaked around 500 BCE, although the seeds of its decline were planted earlier. A recurring problem was court intrigue and ill-defined rules for succession. The death of a king often triggered a scramble for the throne that exhausted the treasury, eroded morale, and loosened the governmental hold on the provinces. Wasteful spending led to inflation and unpopular tax increases. Disputes in the provinces, usually over taxes, were often settled brutally, further increasing dissatisfaction. Five of the six kings who followed Xerxes (died: 464 BCE) were weak leaders who held the empire together only by increasingly harsh measures. The Greeks and Persians had been on a collision course for many years. The two cultures came into conflict in 499 BCE with the revolt of many Greek city-states in Ionia (present-day Turkey) against Persian control. Despite having what appeared to be overwhelming strength and economic resources, the Persians failed to defeat the allied Greek forces over the next 50 years of war on land and sea. The Greeks, though victorious, were not capable immediately of carrying the war into Persia. Following the Greco-Persian Wars (499-449 BCE), the weak Persian kings concentrated on maintaining their increasingly tenuous hold on the empire. Recurring revolts in outlying provinces, especially Parthia, Lydia, and Egypt, weakened the economy and military. Before the empire could dissolve from within, Alexander the Great dispatched it in an amazingly short period of time. Alexander invaded in 334 BCE, captured Lydia by 333, took Egypt in 332, and became King of Persia in 331 (destroying Persepolis in 330). The Persians are best remembered in the West as the antagonists in the dramatic Greco-Persian Wars, from which so much history has been preserved. 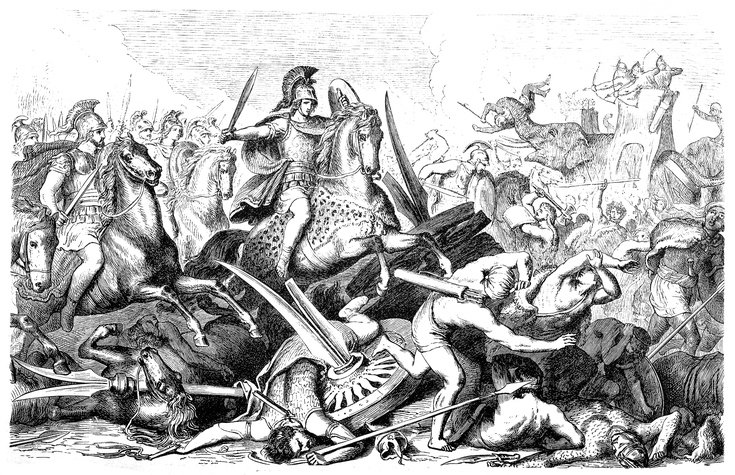 The most famous events from this period are the bridging of the Hellespont, land battles at Marathon, Thermopylae, and Plataea, the great sea battle at Salamis, and the sacking of Athens. Most of this history is biased, however, because we have mainly the Greek accounts to study. 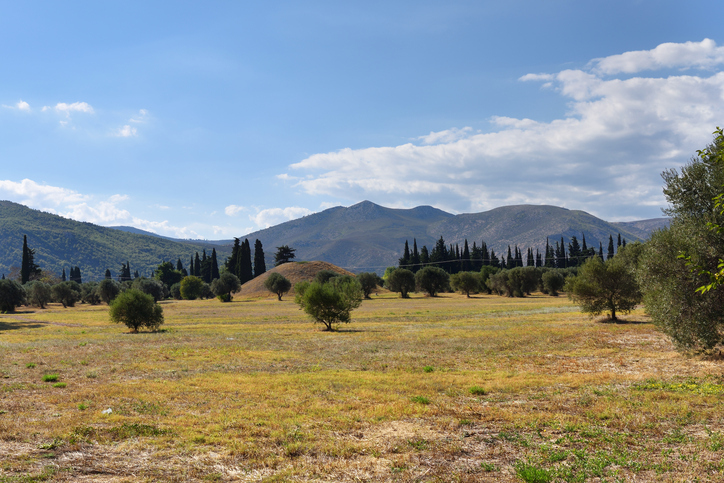 One remarkable piece of surviving literature is the ancient Greek playwright Aeschylus’ The Persians, a tragedy about the hubris of King Xerxes and his failed attempt to invade Greece (a play that premiered less than ten years after the Persians were defeated at Plataea). The Persians are also remembered in several Biblical accounts for the tolerance of their wise early kings and the decadence of their later courts. Cyrus the Great is remembered especially for freeing the Hebrews held prisoner in Babylon when he took that city and allowing them to return to Israel. The ruler is featured in the highly fictionalized biography The Cyropaedia (“The Education of Cyrus“) by the ancient Greek writer Xenophon. The greatest legacy of the Persians was the aggregation and mixture of various cultures under one rule. They were arguably the world’s first super power. Ironically, they were consumed by the world’s next super power—the Macedonians—who, like the Persians, quickly evolved from a small kingdom to a massive Empire.